Do you have a set of tandem mass spectrometry data and are looking for instances of novel protein expression? Let’s collaborate! 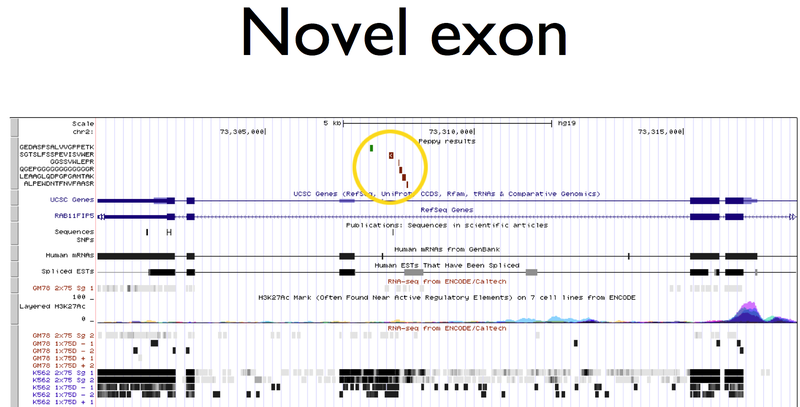 We are interested in testing the limits of Peppy, our proteogenomic search software. Using it and our post-analysis software, we cane create reports that let you easily locate evidence of novel or aberrant expression. The Peppy proteogenomic search software is used to search MS2 proteomic against a reference genome (e.g. HG19). If you have sequenced the germline and disease (e.g. somatic) genome, those can also be searched and compared. 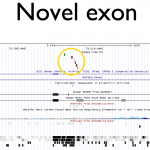 Results from all three searches – germline, disease, and reference – are cross-compared so the peptides that are novel to the genome searches can be quickly identified. User-friendly HTML reports are provided along with BED tracks that can be uploaded and viewed on the UCSC Genome Browser.